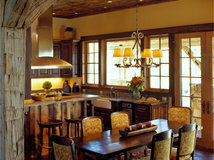 What it is: Rustic style proves the old adage that everything comes full circle. Our pioneer ancestors would get a good laugh out of how fashionable the look is today — they probably dreamed of plastered walls instead of rough logs and carpets instead of bare plank floors. But thanks to rustic style’s unpretentious roots, organic textures and shapes, and natural warmth, it’s become as popular in the heart of the city as it is out in the woods. 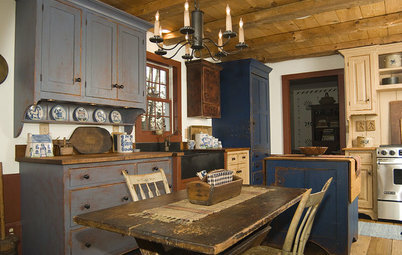 Why it works: Rustic interiors have a sense of connection to the past that’s hard to resist. They feel honest and unstudied and evoke a simpler time. Because they celebrate the art of repurposing, they provide a wonderful showcase for ingenuity. 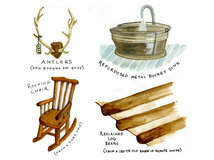 In a world where so much is virtual, rustic style is boldly, blatantly real. You’ll love it if … You were happiest playing in the mud as a kid. You still reread Little House on the Prairie. You can’t bring yourself to throw away packing crates or burlap sacks (hey, you never know). You sleep in your sweetie’s old flannel shirts. Forget the faux-bois trend — you’ll stick to real wood, thank you. 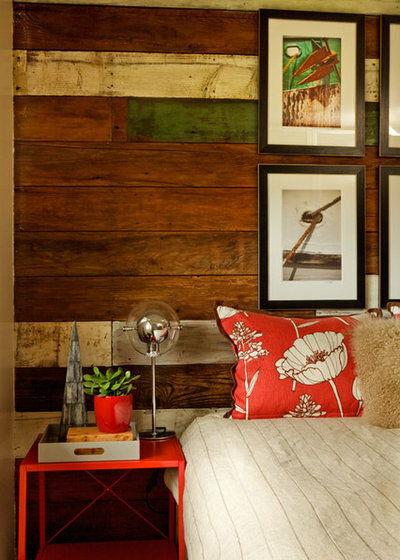 For many of us, this element is the first thing that comes to mind when we think "rustic." 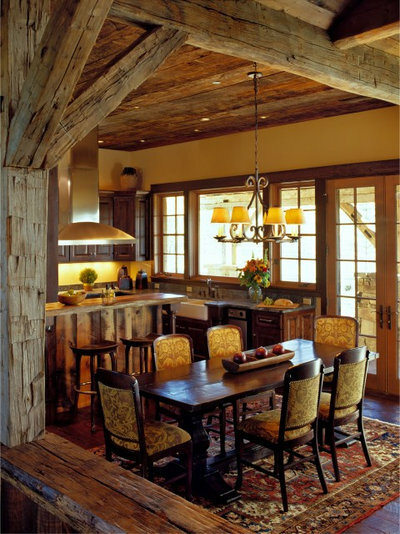 Not only do rough-hewn beams help to define a space architecturally, they can instantly anchor it in rustic territory, especially if they're left rough and unpolished. Use beams to frame ceilings and delineate doorways, to surround fireplaces and windows, or even to line walls. 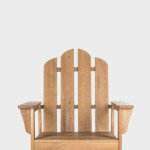 You can also incorporate rounded logs if you choose, which lends cabin charm. 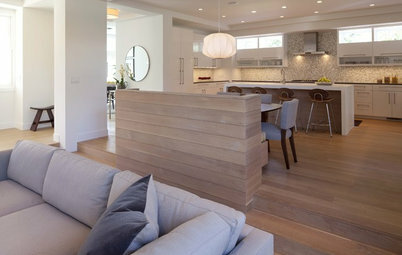 Inspired addition: Honed beams against smooth, glossy white walls create an arresting contrast. 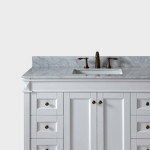 Or juxtapose them with a surface that's still textural but not so rugged, such as beadboard. 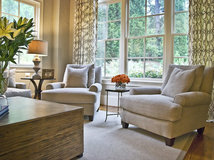 Too many mass-produced or overly tailored pieces dilute a room’s rustic style. Instead, choose furnishings and objects with strong, slightly rough profiles, such as the bread trough, baskets and tray shown here. 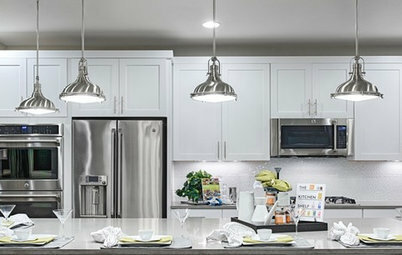 Inspired addition: It’s nice to have a few sleek surfaces to tighten the look. 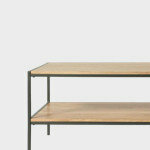 Simple, clean cabinetry and shelving keep this space cohesive but allow the rustic notes to come through. 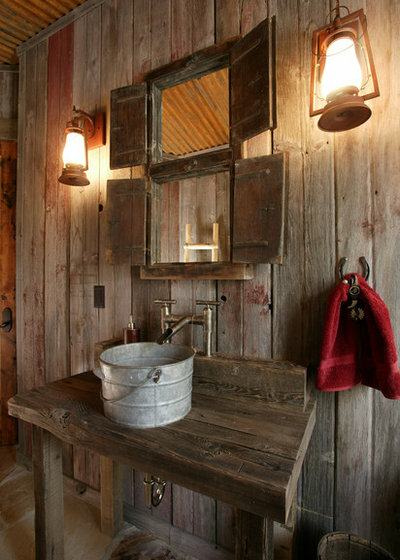 Rustic style is nothing without patina. 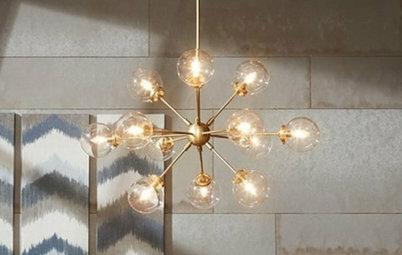 Your rooms shouldn’t convey a feeling of shiny newness — you want surfaces with a little age on them (or at the least, surfaces that fake it well). 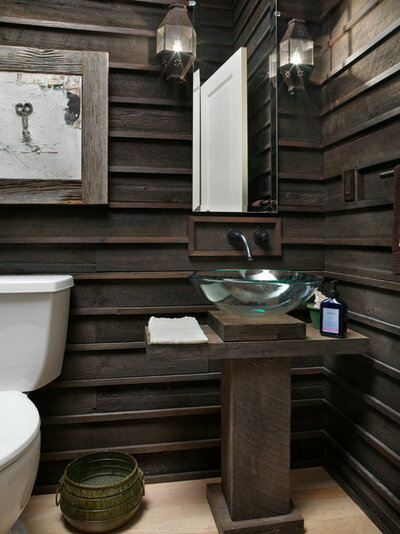 Reclaimed wood, such as in this bath; hammered, distressed and tarnished metals; and wavy or seeded glass blend together in a distinctively layered way. 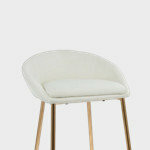 Inspired addition: Conversely, a little shine can be appealing in the midst of all that texture. The glass vessel sink pictured here lends a top note of gleam without detracting from the beautiful, striking wood of the walls and vanity. The rustic palette eschews brilliant jewel tones and flirty pastels in favor of subtle, nuanced colors from the natural world. And by natural, we mean woodsy, pulled from bark and stone and soil. Magenta and lime green may be part of nature's paint box, but that doesn't mean they're the best choice for a rustic home. Inspired addition: Don't worry — you don't have to stick with brown, brown and more brown. There's room for a few doses of brighter, clearer color in this style. Those tones work best, however, when they feel traditional and familiar. 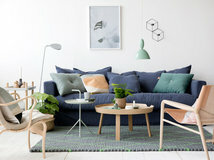 Think denim blue, Coca-Cola red, golden yellow and faded turquoise (especially nice if your space has a Western vibe). 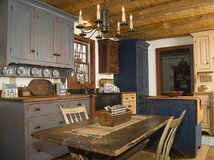 To a large extent, rustic style is about making do with what you have — just as it was in the old days. Found objects are key: old pails turned into sinks, wire baskets transformed into light fixtures, wooden crates reimagined as stair treads. It’s less about whimsy than about creating a sense of invention by necessity. 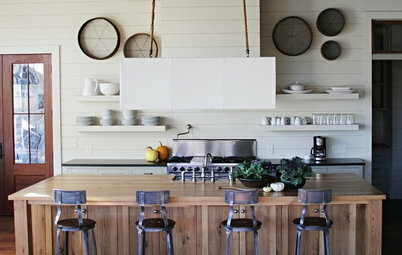 Inspired addition: Rustic interiors lend themselves to cross-pollination with industrial style. 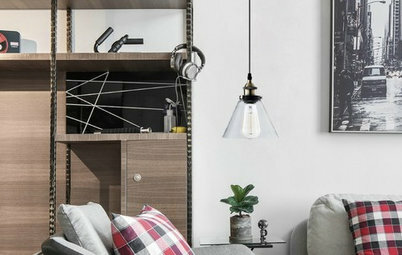 Feel free to take a bit of a risk with accents such as offbeat lighting, decorative displays and artwork. You can also turn to folk art. 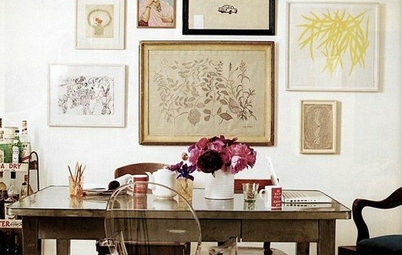 With its self-sufficient, homegrown appeal, folk art looks particularly nice in rustic rooms. 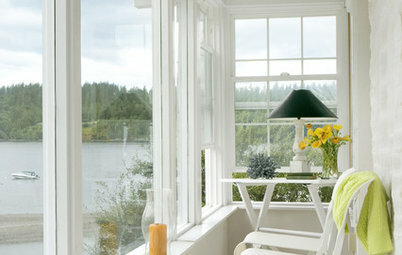 Delicate textiles, such as silk and lace, don’t have much of a place in rustic interiors. Sturdy, hardworking fabrics that can take a little wear and tear feel more on point: burlap, linen, cotton, wool. Inspired addition: Trendy patterns that still feel strong and streamlined, such as ikat, can blend nicely into this type of décor. Quilts are a natural partner for rustic style as well; try updating them with a patchwork of different stripes or with same-color gingham checks in a variety of scales, rather than the more traditional calico look. Remember your mom scolding you about whether you were born in a barn? She may have been onto something. 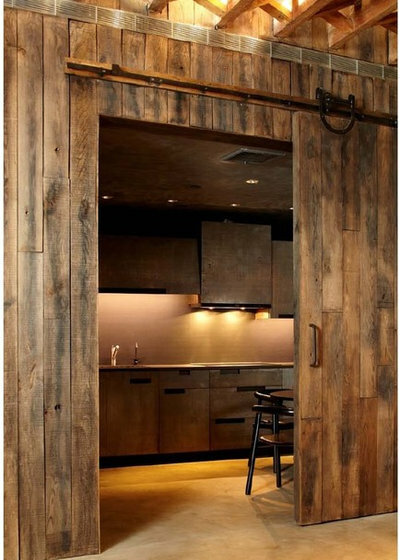 Not only are sliding barn doors, Dutch doors and other details borrowed from outbuildings ultrafunctional, they feel apt and appropriate with rustic style. 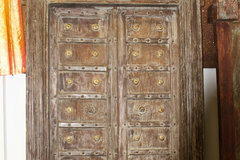 Inspired addition: These doors already are showy, so this is your chance to have a little fun with hardware. Choose a dramatic rail treatment for a sliding barn door or oversize, shapely hinges for a Dutch door. 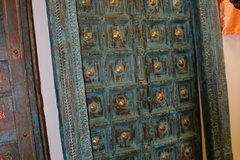 If you really want to make them stand out, paint or stain the doors in a color that contrasts with the walls. 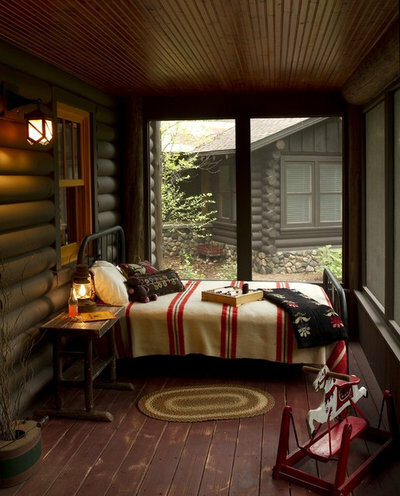 Thanks to their natural overtones, rustic rooms often feel like an extension of the outdoors. 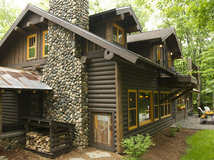 Draw parallels between exterior and interior spaces — for example, the asymmetrical log swing shown here would be a natural extension of a lodge-style space. Screened and covered porches also help to blur the boundaries between outdoors and in. Inspired addition: Don’t forget about landscaping. A prim, manicured garden would feel uncomfortably rigid with this style. 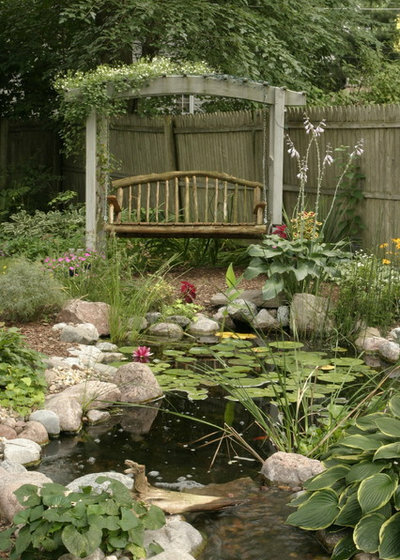 Keep plantings loose and lush, as if unplanned and rooted by happenstance. Or go one step further and let nature take over — it has a pretty good eye for detail.